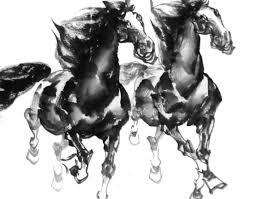 The Year of the Horse has Galloped in! Hold on to your hats folks, it’s going to be a fast ride! 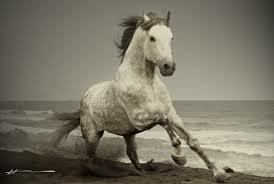 Wild, willful, independent and free spirited, the firery impulse of the Horse is unrestrained in this year’s fast growing generative and extrovert Wood element ~ Yeehaa! Here we gooooo…! Some are saying there won’t be a bigger shift in energy in the entire 60 year cycle of Chinese Astrology than this one coming up. Twelve animal signs, five elements, a yin or yang characteristic ~ we’re in the seventh year cycle where fire Horse meets yang Wood. We have slithered out of the year of deep introspection of the water Snake into unrivaled forward propulsion that the wood Horse brings. The time for pondering, procrastination and planning has passed ~ now is the time to act fast, have a break through – take a leap and fly! Your trusty steed is here, full of vibrant health and tremendous stamina. 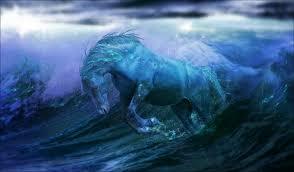 Light, hope and clarity of vision gallop in so this is the time to follow your intuition fearlessly. 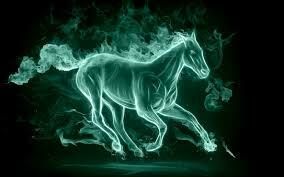 Freedom of instinct is the Horse’s main attribute, and reaching out into the unknown is the main attribute of the Wood element ~ unleashing an awesome power that you won’t be able to reign in, even if you wanted to! So untangle your thoughts, get clear on what your true purpose and passions are in this life time, grab a fistful of mane, cast out any doubts, feel the wind in your hair and ride fast and furiously into the year ahead!